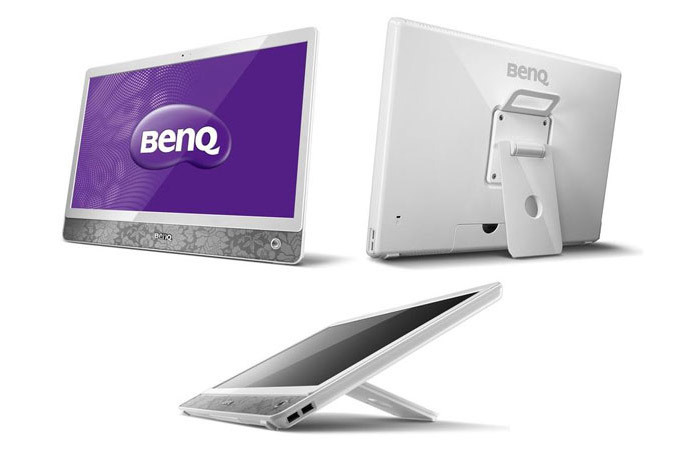 BenQ has presented a new 21.5-inch AIO PC that runs Android 4.0.4 Ice Cream Sandwich right out of the box. The device measures 508 x 360 x 65 mm, weighs around 5 kg and is proudly known as CT2200 Smart Display. On the inside the CT2200 Smart Display is based on a TI OMAP 4430 SoC that has two ARM Cortex-A9 cores at 1 GHz. In addition the machine has 1 GB of RAM, 8 GB of internal memory, a microSD card slot, an Ethernet controller, Wi-Fi, a 1.2 MP web camera and two 2-watt stereo speakers. The new AIO PC also offers MicroUSB and USB ports, HDMI and a 3.5-mm audio jack. The official release date and the pricing are still unknown though.